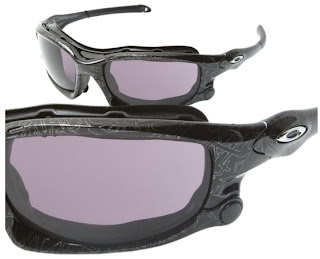 Motorcycle sunglasses are an important piece of equipment for any motorcycle enthusiast. This article will help you make an informed decision as you select the type of frame and lens color best suited to the way you ride. ADS Sports Eyewear publishes more detail on their web site at www.ADSEyewear.com. There are only two lens materials that are approved for use on a motorcycle. These are Polycarbonate and Trivex. SR-91 is also approved for use in this environment. This is a polarized version of Trivex. All three are shatterproof and block UV rays naturally. SR-91 is roughly 50% more expensive than polycarbonate, but the optical quality is phenomenal. Polarization is optional with polycarbonate and Trivex while all SR-91 lenses are polarized. Polarized lenses cut glare to minimum making reflections from the sun less intrusive, allowing a rider to see more detail on any reflective surface. Copper-based lenses will provide the best contrast. This is the best lens color option for riders who are not exceptionally light sensitive. Grey is best for maintaining true color. The grey lens color does not provide any increased contrast it just makes everything darker. It is the best option for riders who are often squinting when they wear a copper lens in bright sunlight. People with light blue or light green eyes are statistically more likely to be light sensitive, but this is not always true. Night riding requires a clear lens, or a lens with a light contrast tint. Photochromic or Transitions lenses are the most versatile lens. A Transitions lens will not get as dark as a tinted or polarized lens, and it may not darken at all if you wear it behind a shield. Even a half shield may block enough UV light to keep a Transitions lens from darkening. Transitions lenses do not darken as much or as fast in hotter weather, and after about 3 - 5 years the lens will start to “fatigue” or wear out. Transitions motorcycle glasses are your most versatile option, but these are not a good option for riders who prefer a darker lens. Prescription Oakley Sunglasses and non-prescription sunglasses offer a larger variety of lens colors that are well suited to motorcycling. Polarized lenses are available in many more colors than the standard grey or brown in polycarbonate, and the Oakley Iridium coatings offer an additional layer of contrast that is unique to Oakley. The new Oakley Wind Jacket is a favorite frame amongst motorcycle enthusiasts because of the removable eye seal and easily interchangeable lenses. Prescription motorcycle sunglasses are now available with a new free-form digital surfacing design that completely eliminates the “fishbowl effect” traditionally associated with putting a prescription lens in a wrapped frame. This has been a lifesaver for athletes in many sports. But this has proven to be more important to motorcyclists than anyone else. This also allows much higher prescriptions to be placed in these wrapped frames.